As I blogged last week, Malcolm Gladwell is an excellent essayist, but a lousy social scientist. His essays are sublime, with shifting meanings and gripping anecdotes. You must read to the end to see where he's going. His books, on the other hand, don't add up. He's sloppy about attributing credit to real research and separating that research from his own theories. and the reviewers have pretty much said the same thing. Steven Pinker reviews the book for the New York Times. I don't know Pinker, but my people on Twitter and Facebook are making "Pot. Kettle. Black." comments. Still, his review is right on. Pinker also talks about why academics don't step up and write a better book than Gladwell. Yeah, right. And, the same is even worsely true for Simon Baron-Cohen and Lawrence Sax. Po Bronson has the same problem, but since he’s officially a journalist and not a scientist, I judge him differently. Oh, and Brooks drives me crazy when he talks about cognitive science. But, he’s a columnist, not a scientist. Gladwell deserves the same pass, no? He doesn’t pass himself off as a sociologist. Pinker has to live up to other standards, since he is officially a scientist. Perhaps the two of them can spend some of their political capitol calling each other’s kettle’s black? But, Pinker is the looser in that, since he’s the scientist. OK, and the leak through of “Igon value” is a failure of the entire publishing establishment, not just Gladwell. That “Nation” essay is certainly spot-on in describing how Gladwell’s interests and prescriptions dovetail perfectly with those of the average “New Yorker” reader. Not that there’s anything wrong with that, only that the preoccupations of the leisured class do not generally involve questions of lasting importance or answers of lasting value. Although, come to think of it, sometimes the concerns of the leisured class are enduring, as in 5th century B.C. Athens. Doubtless there’s a Gladwell essay lurking here. Most people prefer something glib over rigor any day. That’s why a much praised but less commercially successful science writer like Carl Zimmer is less prolific and gets less fame and fortune than a scientist like Pinker or a journalist like Gladwell. 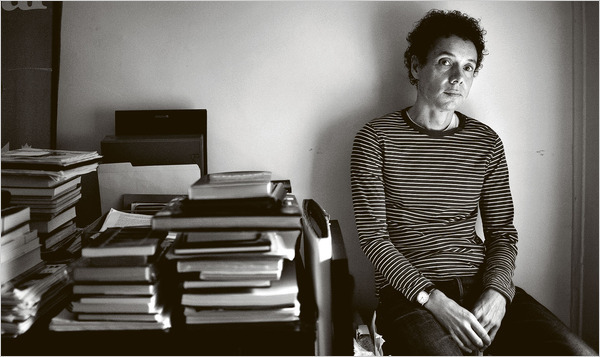 Gladwell is the Vance Packard of our era. I’m with Beej – he preaches to the converted, who like him. No challenges to New York orthodoxy in the Church Of Malcolm. I’m of the Pinkerites, myself. I’ve read several of his books, and he seems sensible and well backed up, to me. But, I started out ready for Pinker to confirm my ideas. How rigorous was Stephen Jay Gould? My own inclination is to think Gould was pretty swell in his own field, and that there was no particular reason to privilege his views/ideas when he went over into other areas, particularly over the general academic consensus in those areas. The Jensen piece is not a “debunking” in the sense that it successfully questions Gould’s scientific evaluation of the IQ question (in Gold’s boook, “Mismeasure of man”). It is a personal defense, which repeatedly asserts that he has been mis-represented, and relies on a parsing of language to do so. Gould’s “Mismeasure of man” is a very good book, scientifically and statistically. It’s also a historical text, and thus doesn’t address the use of IQ as it is currently used. Gould is good at un-parsing statistical data meaningfully, and among the most accurate citers I’ve followed up on. In comparison, Sax (“Why Gender Matters”) is so unreliable as to be fraudulent. For many of his assertions about biological basis of gender differences, the data shown and cited are patently false (and, clearly so, ’cause they’re straightforward studies). Po Bronson (“Nurtureshock”) is raising doubts in my mind, but I haven’t had a chance to track down his cites. Gladwell is clearly iffy as well. Gilbert’s “Stumbling on happiness” seems fair, though practitioners will quibble (I still need to search out cites). Flynn, “What is intelligence? Beyond the Flynn Effect” is also pretty solid. The Gladwell/Pinker exchange is disappointing — Gladwell relying on the publication venue of the quarterback question as the reason to ignore others conclusions, and Pinker’s reply baldly asserting that he thinks one conclusion is better than the other, without telling us why. And, they both buried the substantive information in the irrelevant (Pinker’s defense of his IQ stance and an assertion that quarterback selection isn’t relevant to teacher selection). There’s a mathematical question to be discussed on whether quarterback draft ranking correlates with future performance, and their exchange did not address the question substantially. Oh, and goody, because of the wonders of the internet, you can see a substantive comment on the Berri & Simmons study on draft status and quarterback performance. The basic answer seems to be that aggregate performance does depend on draft status, but the main reason for this effect is that quarterbacks with high draft status are given more play time, regardless of how well the perform on individual plays. So, there’s no correlation between wins/play & draft status (even though the number of seasons played might be). And, unlike Pinker’s assertion, Berri says that there is “no correlation” (looks like there are weak negative correlations, but presumably insignificant). Thanks, dave s. and bj. “[N]o particular reason to privilege his views/ideas when he went over into other areas, particularly over the general academic consensus in those areas” looks pretty good as a rule of thumb, too.